Hanukkah is right around the corner and, in celebration of the upcoming holiday, FindGift has teamed up with TraditionsJewishGifts.com to treat one lucky winner to a $100 gift card to the online shop. TraditionsJewishGifts.com, the online extension of Traditions Judaica Gifts located in South Florida, offers an impressive selection of Judaica gift ideas including menorahs, dreidels, decorations, jewelry and keepsakes – all certain to add the perfect touch to any Festival of Lights celebration. 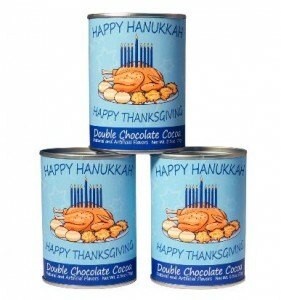 In addition to gifts for Hanukkah, TraditionsJewishGifts.com is your one-stop-shop for all Jewish gifts throughout the year. Don’t forget, this year Hanukkah is early – starting on November 27th. For a chance to win the $100 gift card, visit the FindGift Facebook page (be sure to “Like” us!) and “Like” the giveaway photo. For 5 additional entries, share the picture on your Facebook wall. The contest ends on Monday, November 11th 2013. Good luck!